Located in Sydney Eastern Suburbs, this apartment building is within 1 mi (2 km) of Westfield Bondi Junction Shopping Centre and Centennial Park. Bondi Beach and Bronte Beach are also within 2 mi (3 km). Bondi Junction Station is only a 4-minute walk. 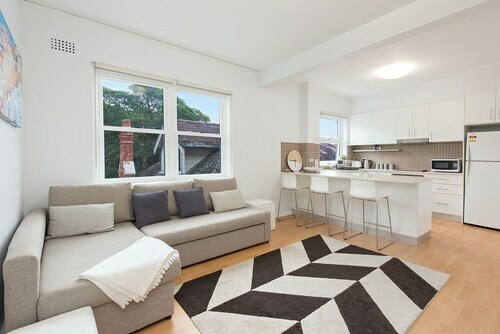 Located in Sydney Eastern Suburbs, this apartment building is within 2 mi (3 km) of Westfield Bondi Junction Shopping Centre, Bondi Beach, and Centennial Park. Bronte Beach and Tamarama Beach are also within 2 mi (3 km). Bondi Junction Station is 7 minutes by foot. 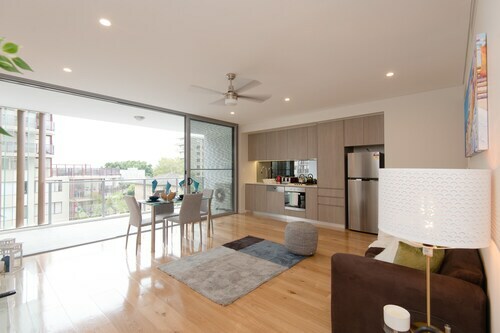 Located in Sydney Eastern Suburbs, this apartment building is within 2 mi (3 km) of Westfield Bondi Junction Shopping Centre, Bondi Beach, and Centennial Park. Tamarama Beach and Bronte Beach are also within 2 mi (3 km). Bondi Junction Station is 11 minutes by foot. Bondi Junction, an exciting area found 5 kilometres southeast of the urban core of New South Wales' state capital, Sydney, is popular with tourists while you are in town. When you are in Sydney, be sure to see its many major attractions, which include the Sydney Opera House, Bondi Beach and Sydney Harbour Bridge. Have a look for something special to take back home or just sample some local food at Bondi Markets. Check out the rates at the Adina Apartment Hotel Bondi Beach Sydney and Ultimate Apartments Bondi Beach to be close by. Whether you want to swim for exercise or just float in the shallows, you'll have a lovely day at Bondi Icebergs. 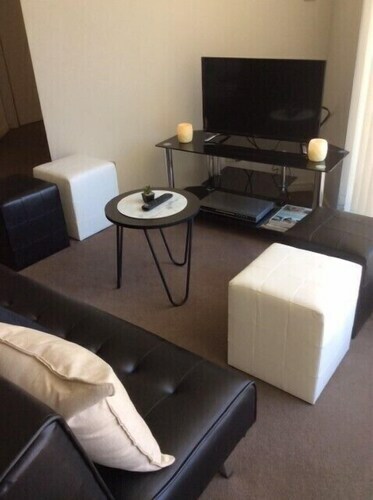 The Adina Apartment Hotel Coogee Sydney and Coogee Bay Hotel - Boutique are your leading options for this spot. Stopping in at Bellagio Cafe is a fantastic way to kick off your day in Bondi Junction. Just follow the aroma of freshly roasted coffee beans! All that sightseeing certainly wears you out. Luckily, Vibe Hotel Rushcutters Bay Sydney dishes up nutritious meals that'll be sure to satisfy even the most empty-stomached travellers. If you're after a drink or two before you head back to your room, why not pull up a stool at Pink Salt? Who knows, the bartender might even be able to give you some tips on what to see tomorrow! It's worth thinking about securing a hotel in Woollahra or Bondi when planning your adventure in Bondi Junction. Woollahra is only 0.9 kilometres from Bondi Junction and Bondi is around a kilometre away from Bondi Junction. Bondi Junction offers plenty to do as well as some great accommodations. Come on, you know you deserve a vacation, so when you're ready to head to Sydney or anywhere else on this incredible planet of ours, Wotif can get you there, on budget and in style! How Much is a Hotel Room in Bondi Junction? 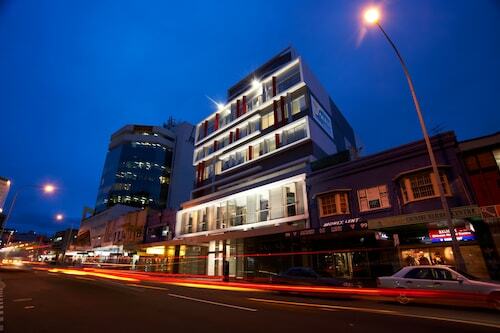 Hotels in Bondi Junction start at AU$130 per night. Prices and availability subject to change. Additional terms may apply.